Twin Peaks was destination television in 1990 and &apos;91. Everybody — including, supposedly, even the Queen of England — wanted to know "Who killed Laura Palmer?" whose murder is the central mystery of the series. Now, creator David Lynch has revived the story, which will return on Showtime May 21. And with Twin Peaks returns one of its most important characters: the man you never saw on screen, but whose presence was always felt. Twin Peaks always began with that same intro: saw mills and waterfalls in the bucolic Pacific Northwest, with an unmistakable soundtrack. Nowadays, binge-watching the show on Netflix or Blu-ray, one could skip through that long intro — but Nine Inch Nails frontman Trent Reznor never does. "Every time that intro comes on, I think, "Should I fast-forward? I&apos;ve just heard it five times earlier that same day,&apos; " Reznor says. "But I always let it play, because it does a magical and perfect job of establishing the set dressing of this place." That "set dressing" was created by composer Angelo Badalamenti. Seeing his name in the credits, you might imagine a storied Italian maestro like Ennio Morricone, but Badalamenti was born and raised in Brooklyn, with a father who owned a fish market. The burgeoning composer started scoring low-budget films in the 1970s as "Andy Badale." His big break came in 1986, when he scored Lynch&apos;s film Blue Velvet. 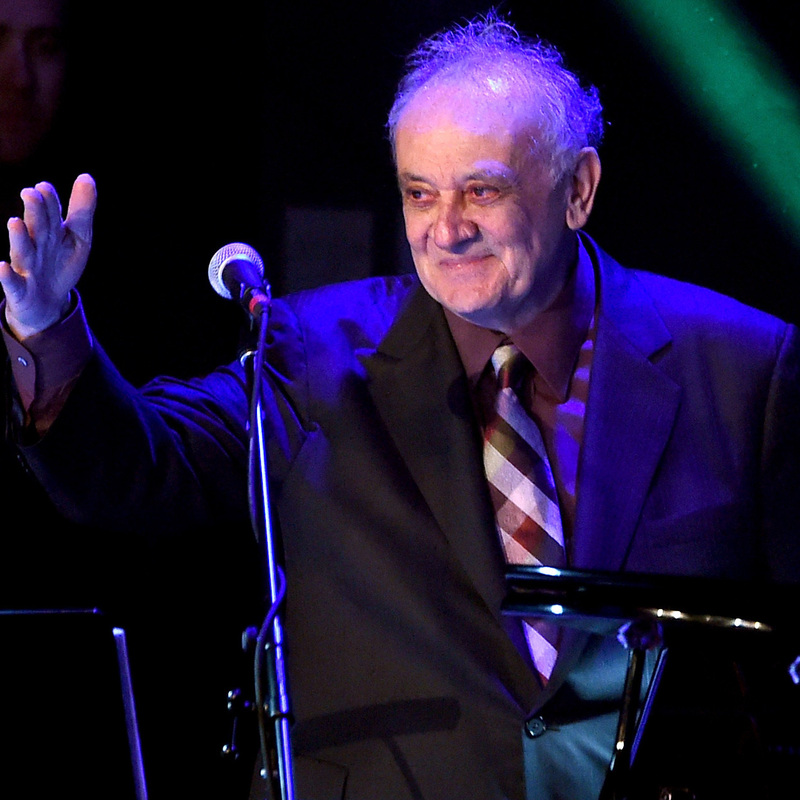 "It&apos;s an unusual way to work, but he talks to me," Badalamenti says of his collaborative relationship with Lynch, "and I translate that language into music. It&apos;s effortless." Lynch elaborated in a 2001 interview at the American Film Institute. "I sit next to him and I talk to him, and he plays what I say," Lynch said. "And then, I adjust if it&apos;s not going a certain way, and he&apos;ll keep playing. And in a very short amount of time, he&apos;s playing the thing that&apos;s marrying to the ideas." Twin Peaks is quintessential Lynch: a soap-opera murder mystery that jumps from slapstick comedy to surreal nightmare to teen drama. Before he even shot the pilot, Lynch told Badalamenti what he needed. Badalamenti remembers what he said: " &apos;Angelo, it&apos;s gonna have many different kind of moods. Sadness, passion, tenderness — and violence. ... And, Angelo, there&apos;s gonna be scenes that&apos;s gonna need cool jazzy stuff.&apos; He wraps it up by saying, &apos;But Angelo, the most important thing is, I&apos;m gonna need some music that&apos;s gonna tear the hearts out of people.&apos; "
"OK, Angelo, visualize these things. It&apos;s the dead of night. We&apos;re in a dark wood. There&apos;s a full moon out. There are sycamore trees that are gently swaying in the soft wind. There&apos;s an owl [that] ominously appears on the tree. So, Angelo, give me some of this mood." ... "Now, Angelo, from behind that tree, there&apos;s a beautiful, troubled, lonely teenage girl. She appears and she starts walking, very slowly, with tears in her eyes, towards the camera." And, boom, I got this change from minor, I went to major, and I start an ascending line, note by note. Badalamenti&apos;s music became a character itself. His main title song won a Grammy in 1990, and the soundtrack album went gold. When Reznor got the chance, along with his partner Atticus Ross, to score films like The Social Network and Gone Girl, Badalamenti&apos;s music was in their ears. "Twin Peaks spoke to us," Reznor says. "It felt like something that had the right degree of sexiness and mood, and it felt inviting — it felt like a place I didn&apos;t want to leave necessarily." The Twin Peaks revival hasn&apos;t left its small Northwest town — but its creators will say very little else about it. Showtime wouldn&apos;t even let me ask Badalamenti if he used the same instruments. But we do know that it&apos;s David Lynch and Angelo Badalamenti. "David tells everybody we&apos;re brothers," Badalamenti says. "David comes to my house, he sleeps in my house, meditates in a private room that is the &apos;David Lynch Room.&apos; And it&apos;s the best marriage of all — we just adore each other." Not every beloved character will be returning to Twin Peaks. But fans can take some comfort (if that&apos;s the right word) that one of the people who is returning is the one who tears your heart out.